It was an evening to empower women to feel beautiful last night as Haughty Cosmetics, a new luxury make-up line teamed up with Becky’s Fund,a non-profit organization focused on domestic violence awareness and education. The event took place in DC’s hot spot, Hudson Restaurant where Haughty Cosmetics were available for purchase. Some of the sponsors included Crumbs Cupcakes who provided delectable treats, LUSH handmade cosmetics and The Sports Club/ LA. 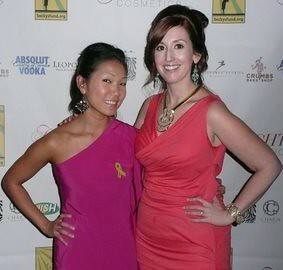 Founders Michelle Coyle and Becky Lee looked fabulous as they hosted the evening. All proceeds of the night went directly to benefit Becky’s Fund.